Shraddha will perform along with playback singer Monali Thakur at the 20-minute function from 6.30pm onwards. So far, 6 ceremonies have concluded and Bollywood starlet Shraddha Kapoor will grace the seventh opening ceremony of Indian Premier League 2017 at Kolkata's scenic Eden Gardens on Thursday ahead of Kolkata Knight Riders vs Kings XI Punjab match. Also, Shillong Chamber Choir, a band from Meghalaya will also perform at the iconic cricket ground. #7:00 PM: The performance by Shraddha Kapoor comes to an end as the two teams gear up for the match. #6:58 PM: The crowd is fully charged up as Shraddha Kapoor is dancing on hit Bollywood songs. #6:57 PM: Shraddha Kapoor's father Shakti Kapoor is also present at Eden Gardens and cheering his daugther. #6:55 PM: She is currently dancing to her superhit songs from Aashiqui 2 and Ek Villian. #6:53 PM: Shraddha Kapoor takes centre stage and sets the temperature soaring. #6:49 PM: Gautam Gambhir hands over a token of appreciation to the visiting captain Glenn Maxwell as a part of the opening ceremony. #6:48 PM: Gaurav Kapur welcomes KXIP captain Glenn Maxwell. He arrives in a golf buggey as the KXIP thene song plays on. #6:46 PM: Gaurav Kapur welcomes KKR captain Gautam Gambhir. He arrives in a golf buggey as the KKR theme song plays on. #6:36 PM: Folk artists are currently performing on the field. #6:35 PM: The band is performing different Bollywood songs as well as Rabindra Sangeet. #6:30 PM: The opening ceremony begins with songs sung by the band 'Shillong Chamber Choir'. 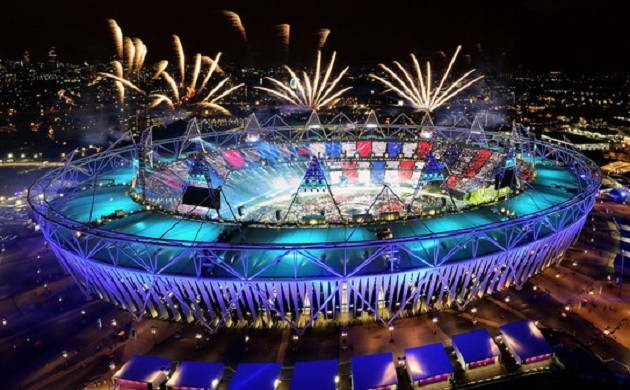 #6:05 PM: It was the first in a series of eight opening ceremonies, one in each hosting venue. #6:00 PM: Hello and welcome to the LIVE updates from the 7th opening ceremony of the IPL 2017 at the Eden Gardens, Kolkata.